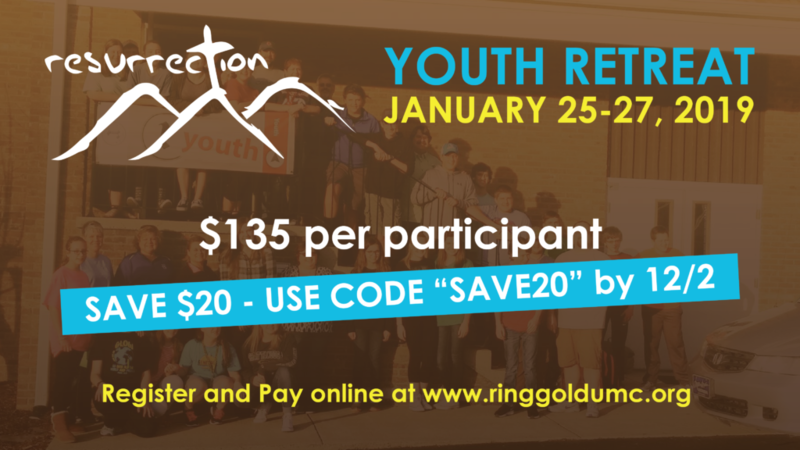 Register by Dec 2 to save $20 on Resurrection registration. 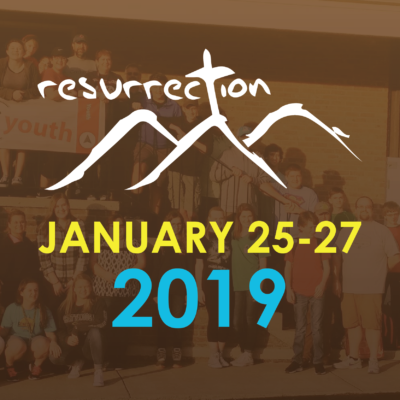 The youth of Ringgold United Methodist Church will travel to Pigeon Forge, TN for Resurrection (January 25-27, 2019). At this massive youth conference, students will hear from amazing guest speakers and worship with incredible Christian bands (I AM THEY) as they engage with thousands of other students. For more information on Resurrection, go to http://resurrectionyouth.com for more information. Use code “SAVE20” at checkout by 12/2/18 to save $20. Cost is $135 total. Deposit of $35 is due December 2. Balance of $100 is due by January 25.